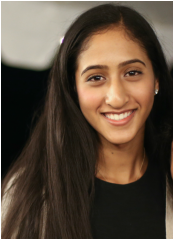 Esha Bansal is an 12th grade student who currently attends Phillips Academy in Andover, MA. She began learning violin at age 7 and continues to study violin privately. Esha previously studied at West Shore Jr/Sr High School in Florida, where she performed with the West Shore Chamber Orchestra and was a member of All-County Orchestra, All-State Orchestra, Solo and Ensemble, and winner of the 2011 Brevard Symphony Youth Orchestra (BSYO) Concerto Competition. Esha was concertmaster of the BSYO Philharmonic Orchestra and the 2012 Brevard All-County Senior High Orchestra. In the 2010-2011 academic year, Esha mentored three young violin students at Club Esteem, an after-school program for underprivileged children in Brevard County. Esha’s hobbies include writing and reading. 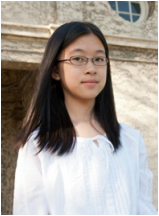 Evelyn Liu is currently an 11th grade student at Phillips Academy in Andover, MA. She has been playing violin for eleven years and continues to study the violin privately. Evelyn studied at Hong Kong International School through 9th grade where she played in the school orchestra, which won first place at the 2010 Hong Kong Youth Music Interflows, and third place overall at the 2011 National Festival Orchestra Competition in Kansas City, Missouri. She was also selected to participate in the 2012 Asian Pacific Activities Conference for orchestra in Hong Kong. In addition to the violin, Evelyn is a self-taught guitarist and has played both instruments as part of her church's Worship Team. In her spare time, Evelyn enjoys swimming, playing tennis, reading and drawing. 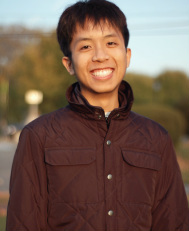 My name is Alphonse Le, and I am currently an 11th grader at Phillips Academy in Andover, MA. I play the violin in the MusicMDs program, and outside of the program, I also play piano and flute. I have been playing the violin for about four years and the flute for five, though I stopped flute instruction when I started high school. I self-taught myself to play the piano for nearly five years now as well. I have been playing in my school’s symphony orchestra for two years. In addition to my musical interests, I also enjoy reading, watching animated movies, and doing community service. 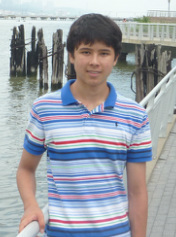 My name is Tim Ossowski, and I am currently a sophomore at Phillips Academy in Andover, MA. I have played the piano since I was in kindergarten, and have been involved in various musical programs such as chamber music, music theory classes, and private lessons ever since. I attended a music school called Hoff-Barthelson, and was an honors student there. Currently, I am taking private lessons in school, and play in student recitals frequently. Aside from music, I like to read novels, engage in community service, and play baseball. My name is Emily Jusuf, and I am a tenth-grader at Phillips Academy, Andover, MA. I have been studying piano since I was five years old. When I was nine, I picked up the flute in order to participate in the concert band and jazz band. Although I did not start working with a private flute teacher until this year, I have been playing the flute in school bands as well as various chamber groups all throughout middle school and high school. In my spare time, I enjoy reading, running, doing math, and collecting quotes. Sean DeLaney is a tuba player and an 11th grade student at Winchester High School in Winchester, Ma. He began playing trumpet at age 9, but switched to playing tuba at age 11 and has been studying privately since he switched. Sean performs in the Winchester High School symphonic orchestra, wind ensemble, and marching band. He is also principal tuba of the Massachusetts Youth Wind Ensemble at the New England Conservatory Preparatory School, and has participated in several Massachusetts Music Educators Association run festivals since 8th grade. Sean’s interests outside of music include playing lacrosse, traveling and spending time with friends. Sitara Rao is an 11th grader at Phillips Academy in Andover, MA. She has been taking piano lessons since she was 5 years old. During the summer of 2011, she played piano for the patients at Northeast Rehabilitation Hospital in Salem, NH. Sitara has performed at Carnegie Hall in New York in the 1st place winners concert for the 2012 Russian Music Festival and in the 1st place winners concert for the 2013 American Fine Arts Festival. 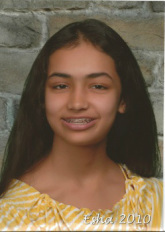 Sitara has attended Ithaca College’s Summer Piano Institute twice, in 2012 and 2013. She continues to take private lessons on the weekends. In her free time, Sitara enjoys painting, reading, playing squash, and taking photos. My name is Daniel Yen. I am a freshman at Phillips Academy Andover. I am originally from near Los Angeles, California, but I have also lived in Hong Kong, Beijing, Shanghai, and Deerfield, MA. In my four years of cello playing, I have played in the New Shanghai Orchestra. I have also attended the Interlochen Summer Arts Festival and been vice principal of the Interlochen Symphony Orchestra. In addition, I attended a summer program at Oberlin Conservatory summer of 2014. 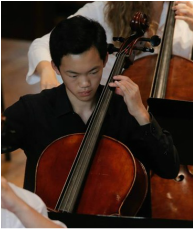 I am currently playing in the Phillips Academy Symphony Orchestra, as well as the Academy String Orchestra. 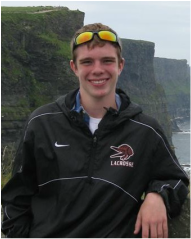 Outside of the practice room, I am interested in history and am an avid ultimate disc player and a squash player. 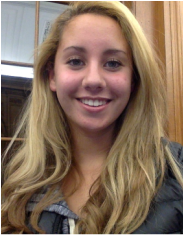 Mika Curran is a 10th grade student at Phillips Academy Andover (Andover, MA). She plays the ukulele, the guitar, the piano, and sings. She has played the ukulele for about a year, the guitar for a few months, and the piano in private lessons since she was 5. She has sung since before she can remember, but started private lessons just last year. Her greatest musical achievement would be the happiness she has brought in the past through music not only for herself but others around her and the hope that she can continue. In school she has done various choral groups and musicals. Along with musicals, she also enjoys acting through plays. She loves to ski and sail recreationally, read J.D. Salinger short stories, visit new places, drink tea, people watch, and baby sit for her 13 month old niece. 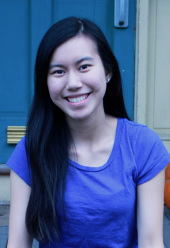 Sonya Chen is a 12th grade student at Phillips Academy. She started playing violin at age 6, studying with a private teacher while also participating in a variety of school and regional orchestras. She was awarded Grade 8 violin by the Associated Board of the Royal Schools of Music in 2009. At Phillips Academy, she participates in the Academy Orchestra, a string orchestra, and chamber music ensembles. She hopes to continue playing the violin in the future, as a hobby. She enjoys spending time with family and friends, traveling, reading books, playing squash, and attempting to bake. 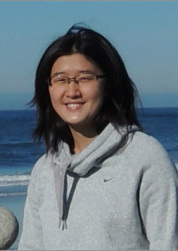 Amy Chou is a 10th grade student at Phillips Academy in Andover, MA and lives in Bozeman, MT. She has been playing violin since the age of eight now studies it privately. Amy also composes music, and she had played piano and French Horn before entering high school. Outside of music, Amy is interested in math, computer science, and running. In summer 2013, she co­founded the Bozeman Math Circle, a math contest program for middle school students living in Gallatin Valley, Montana, in hopes of fostering a love of math among bright students in her community.